In the Nassau Guardian every Thursday. 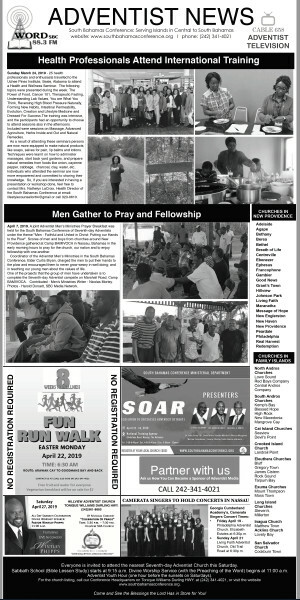 Stories: Health Professionals Attend International Training, Men Gather to Pray and Fellowship, Fun Run Walk, SOAR. Click to download and read full page.